He said that the John Nwodo-led executive of the organisation betrayed the peopleâ€™s trust and exposed the body as being partisan. â€œOhaneze is a socio-cultural organisation and so should not be seen to be partisan. What the leadership did by endorsing Atiku was not in the interest of the Igbo nation. â€œThe endorsement also did not enjoy the support of the majority of members but may be a committeeâ€™s decision,â€ he said. He said: â€œI was very surprised that Nwodo, whom I have a lot of respect for, could do such a thing because that is not the right thing to do. â€œWhat they just did implies that we have two Ohanaezes, or we are going to have another organisation in a different name. â€œI will be in consultation with Gov. Willie Obiano of Anambra and other people of goodwill to decide what we will do next, we are not going to accept it. â€œThese are card-carrying members of PDP, they cannot use Ohanaeze platform to endorse any candidate, itâ€™s not acceptable to us. â€œWe want a level playing ground. I expected Ohanaeze to be neutral, whoever wins, they should support. 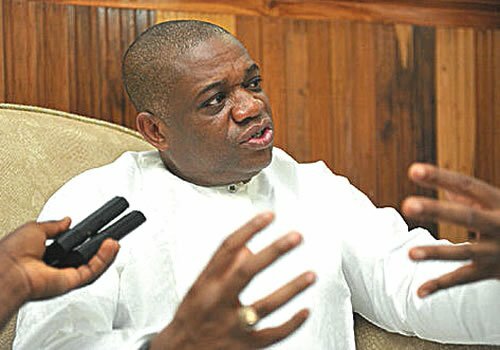 â€œIâ€™m not even expecting them to endorse Buhari, we want them to be neutral because neutrality is the hallmark of every independent cultural association,â€ Kalu said. He said that South-East APC had begun intensive campaign in churches and communities to showcase the presidentâ€™s performance in the zone in just barely four years of his administration.